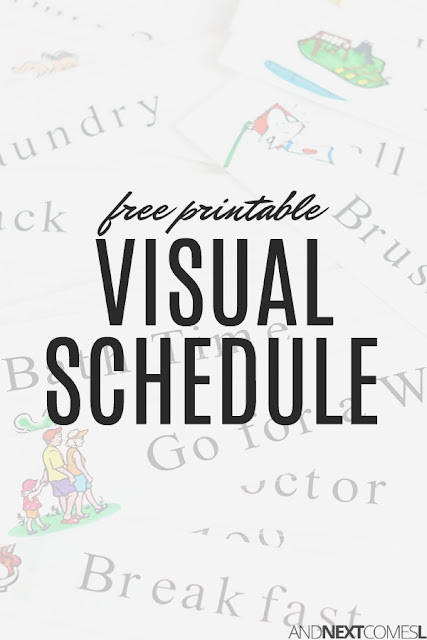 An amazing free printable visual schedule for kids. I'm a firm believer in routine and structure for kids and my four year old J is a routine-based kid. He thrives when he knows what to expect in his day. To help make our days easier, I purchased a pocket chart and created some activity cards for it. Since we have found it extremely helpful, I thought others might enjoy it too. 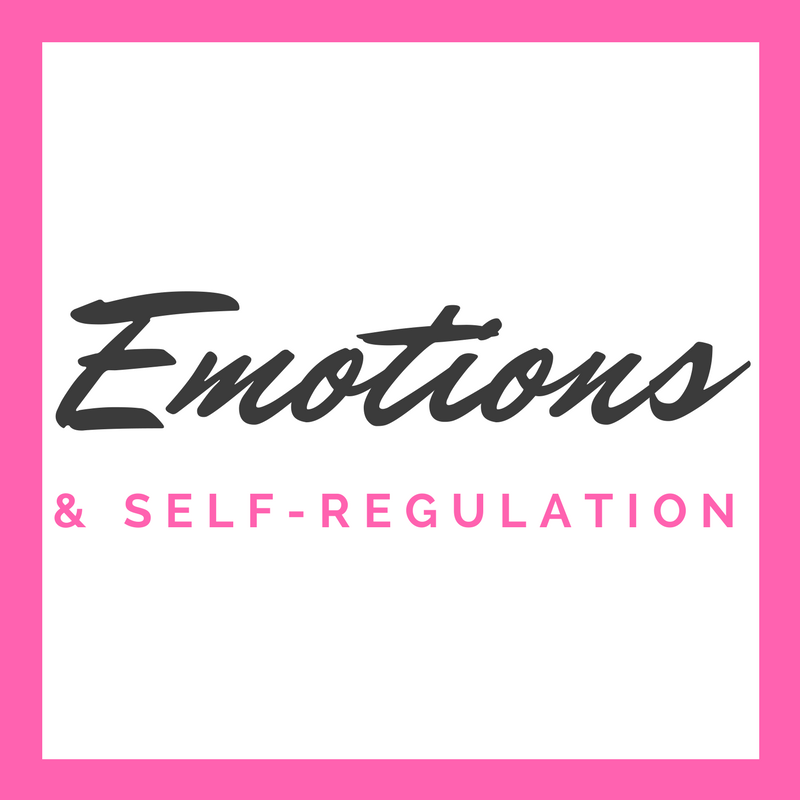 So I have also included the free printables for you to print, cut, laminate, and enjoy. This free printable daily visual schedule is great for kids with autism and/or sensory issues. I made our schedule extremely detailed with everything from my husband's basketball games to snack time to brushing teeth to a birthday party. I printed them in color, cut them into strips, and ran them through my laminator. 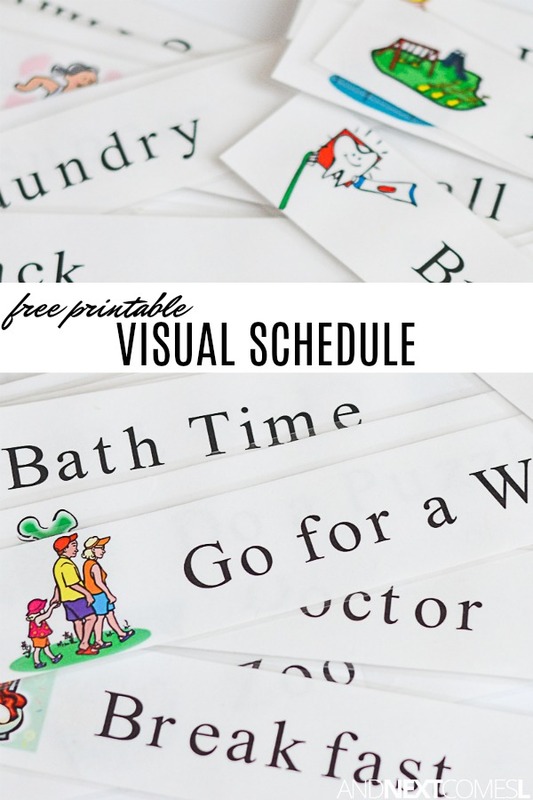 Visual schedules have lots of benefits for all kids, especially those with autism or hyperlexia. You can read more about the benefits of visual schedules here. I usually fill up the pocket chart twice during the day since it's not long enough to allow for the kind of detail I need for our schedule. That also allows us some flexibility in case we need to change the schedule part way through the day. We have been using this schedule for a couple of weeks now and it has been working incredibly well. It is hanging up outside J's and K's bedrooms. When they wake up, they can instantly see what is planned for the day. K is even starting to associate the pictures with the words, so it's a great way to encourage some extra literacy in our house. We now store all of the cards for the schedule in a basket that I found in our garage. When we finish an activity on our list, J likes to put it in the basket. This visual schedule comes as a .zip file and includes numerous PDFs. There is also a set of blank cards so that you can make your own. Either write the item on the card before laminating or laminate it while it's blank and use dry erase markers to write some items. I have also included duplicates of scheduled activities that you may find yourself doing more than once in a day. And finally, if there's anything you'd like to see added, let me know! Actually, I am no longer taking requests to add new cards to this set. The set is incredibly detailed as it is! To get your copy, just enter your details below. I love this idea. Thank you so much for providing the schedule cards for free! You're very welcome! I'm happy to share them after all of the hard work I put into making them for our house! This is awesome. 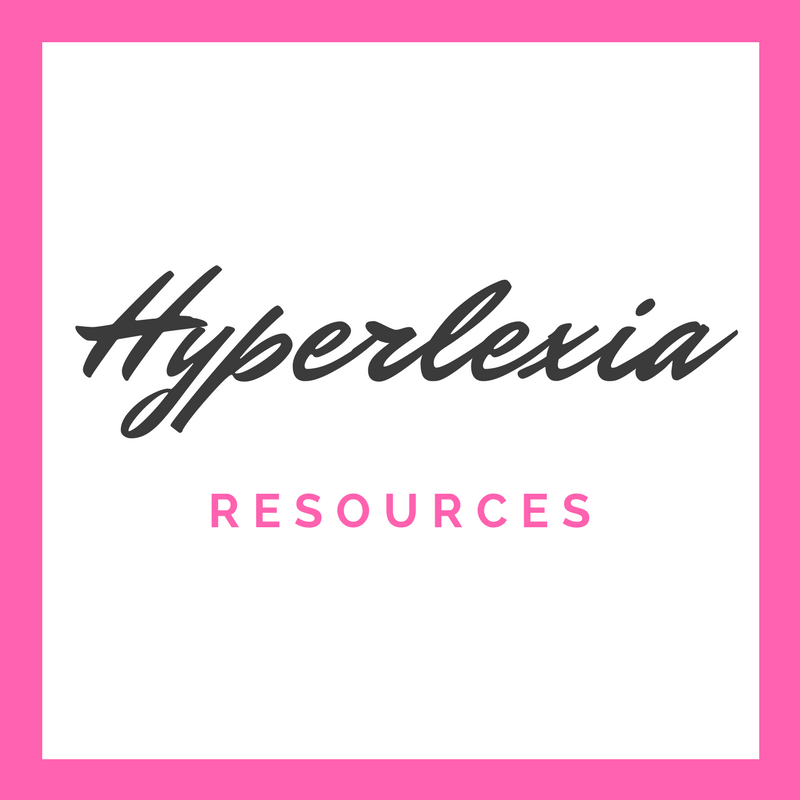 My son has disabilities in learning and high anxiety. I just printed them for school and home! Thank you! I just ordered the pocket chart and printed the schedule cards but did not see the one for nap/quiet time. I do daycare and I am very excited to use these but really need the nap time card if you would consider adding it to one of the categories. Oops! Apparently I forgot to add one whole document that has nap time, get dressed, and more! Hopping on the computer as soon as I can to add it! It will be in one called Daily Routine. Thanks for asking!! Oh, Amy JauJou! That is simply great to hear! You must have your hands full so I am happy to hear that these will be helpful to your family. Ah yes. The more detailed the better! I am in love with these! There are a few more that I am thinking I might try to add to the ones you have here. I am thinking possibly a couple with picture for Chores but nothing listed so I can write them in with a dry erase after they are laminated for my older daughter! Thank you so very much for these! You are welcome! The dry erase idea sounds fantastic. So glad that these are helpful to you. This is awesome! Exactly what I was looking for! What font did you use? I'd like to make a few additional ones. The font is Cooper Black. I really want to use these... but when I click print.. the preview is all wonky! the letters are ginormous and all over the place! how do I fix that? What browser are you using? And are you downloading it first then printing? Or are you just printing from the open document? Thank you so much! I home-educate my kids and I think this is what I have been missing for my 4 yr old daughter! THANK YOU so much! Yay! Glad it is helpful for you and your family, Elizabeth! This has saved me SO much time! Thank you! 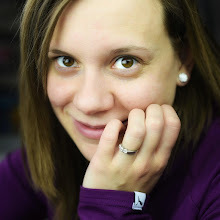 I'm pretty much star struck by your blog. Every time I see something on pinterest that I find uniquely brilliant, it's yours! THANK YOU! I've been scouring Pinterest and the internet but kept coming up empty handed. I just did NOT want to take the time/energy to create my own! I have a four year old boy as well who thrives on knowing what's next, and since my husband and I take turns (every other day) with the kids, I thought I'd be helpful to have a schedule chart I can change easily to show what's on the schedule, which parent is "on" that day etc. THANK YOU. Did I say it? THANK YOU! Ha! You are so very welcome! Wow! Thank you for creating the wheel so I didn't have to! Would it be possible to add "Brush Hair" to the list? Thanks for sharing, I adore this! Can you tell I have boys with short hair who never brush their hair?! I will add it to my to do list! Great suggestion. Is it possible to add ABA therapy to the list? I saw the other therapies but my little guy has ABA everyday too. :) I can't wait to make his scheule! Adding to my to do list! Great suggestion! Sorry it took so long to get to this, but I have added ABA therapy. You can find it in the Special Visits & Appointments cards. Loving this site, still trying to find the time to read through it all. Question, unless I've missed it, I don't see any for going potty or washing hands. I figured I'd just make my own as well as some "our family" specific ones. I ended up buying 2 pocket charts because I am not one for routine and I knew if I had to change them half way through the day I wouldnt'. I haven't done it religiously but I see the light at the end of the tunnel. Really hoping to pass on more organized ways and peaceful thoughts to my daughter than the chaos and clutter I generally allow myself. I don't think I have a potty or washing hands one! I will add it to my to do list. Potty & Wash Hands have now been added. You can find them in the Daily Routine cards. I'd love to see one for Splash Pad. These are so great! Thank you so much!! Oh that's a great suggestion! My to do list is getting pretty long at this point...haha...guess I better tackle them soon. I've added Splash Pad (or Spray Park as we call them here) to the Play Time cards. Thanks for the suggestion! I will add that one to my to do list because I'm pretty sure I don't have that one. Hi there, me again... About to start printing and was hoping I could possibly make another request...? Under the Meal Time page... Could Dinner be added? We use that instead of Supper here in California. It would be greatly appreciated. I think with that, it would complete our days/weekends. Again, I hope this isn't too much trouble. Thank you. Sure. I likely won't be able to make these extra cards until April due to other commitments, but I will get to them! Hahaha...okay, adding it to the to do list! Picnic has been added! You can find it in the Special Visits & Appointments cards. Thank you so much for sharing this! Just wondering if you could tell me the size of the strips of paper to fit into the pockets or if you could make a page of just blank strips that we could write things in with a dry erase marker like someone above suggested. I'm looking for things like walking the dog, yard work, meal prep, etc., but again, I can write those in on my own ;) Thank you again! I can make some blank strips. I plan on making some extra cards for this schedule sometime this week so please do check back soon. The blank cards have now been added. You can find meal prep in the Meal Time cards. Thank you so much for sharing these they are exactly what I was looking for. Now hopefully we will not be late because they will know exactly what to do and what comes next! You are so welcome! I'm thrilled that so many other families could benefit from them! Beach day is a great suggestion (can you tell we don't have beaches around here???). You can use the blank printable cards to make that one and any others that you might need. Enjoy! Love these! Thank you so much!!! could I get the dimensions of these (so I can make few custom ones)? I've included a set of blank cards that you can print off and write you own on, but they are about 2 inches x 11 inches. Thank you so much for providing these cards! 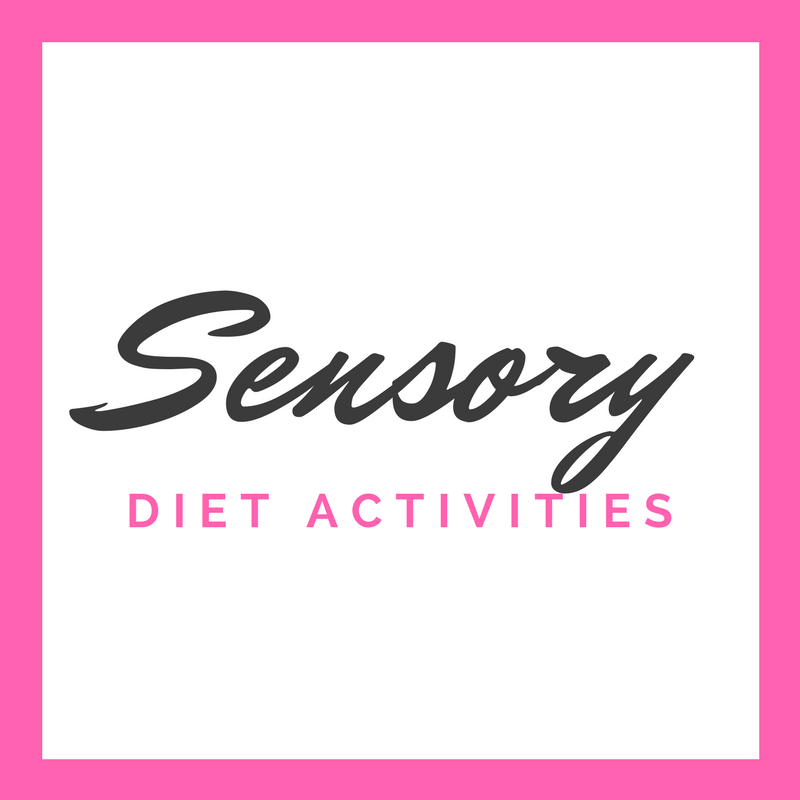 My daughter has just been diagnosed with Sensory Processing Disorder and transitions have been such a struggle lately! Our therapist recommended something exactly like this! Thank you for making it so easy! Didn't see one for "make your bed"? There are probably lots of others that I have missed. And making the bed isn't something we typically do and enforce at our house, but I will add it to my to do list. Or feel free to use one of the blank cards. I used your idea today on my 2 year and 3 year old. It worked so well. Thank you for creating this. My special needs child loves it. Could you please share the font size and name so I can make some cards for my class? I LOVE your schedule cards and will be using them in my classroom. Font is Cooper Black and size is 72. Some of the longer phrases, such as birthday party, are a bit smaller in size like around 66. Thanks - These are great! An idea could be to put a clothes peg on the side of the top card in the morning (or after bed time), then get the child to move the peg to the next card as they move from one activity to the next through the day. This way they can track where they are in their day, and see exactly what's coming up next. That's a fantastic idea! Great suggestion!! Could you add: "Read Books" "Clean Up" (toys) and "Watch Video" (iPad)? Or point me to photos?? I have "Reading Time" and "Watch TV" or "Watch a Movie" in the playtime set of cards. I have one called "Tablet Time" that would work for iPad, but I can't seem to find it...hmmm. Unfortunately, I don't have a "clean up toys" card, but that's a great suggestion. I will add it to my to do list the next time I update the cards (likely in a few months). Anyway, you can always use the blank cards to write your own in the mean time. Thanks for the suggestions! These are amazing! Thank you so much for these. 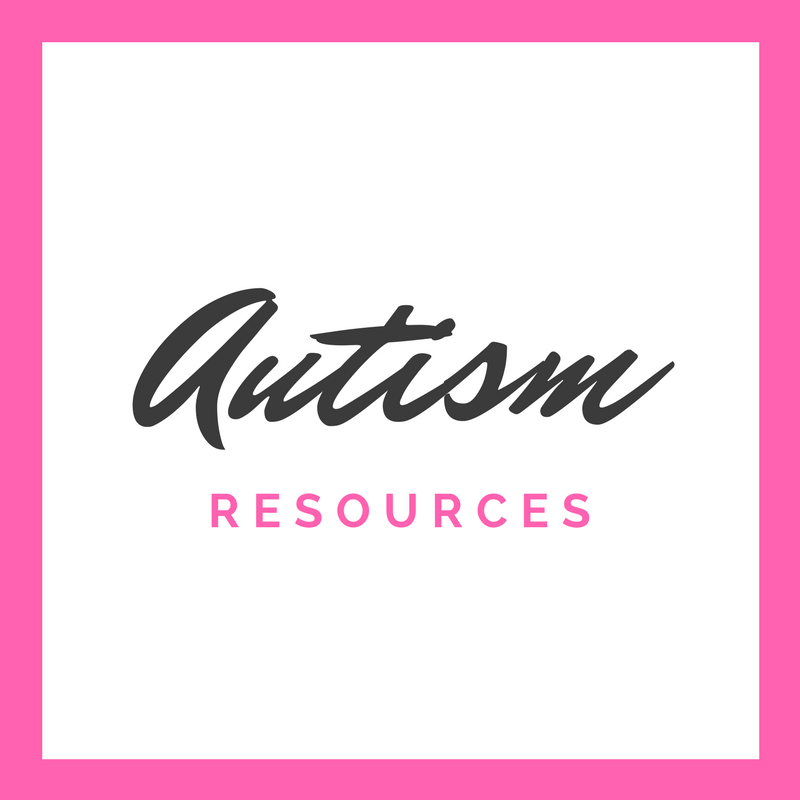 I'm an ABA therapist and it is so awesome to find some quality resources! Yay! So happy to hear that you enjoy them! Hi there, thank you so much for these cards! I can't wait to get our schedule up! I love these cards! 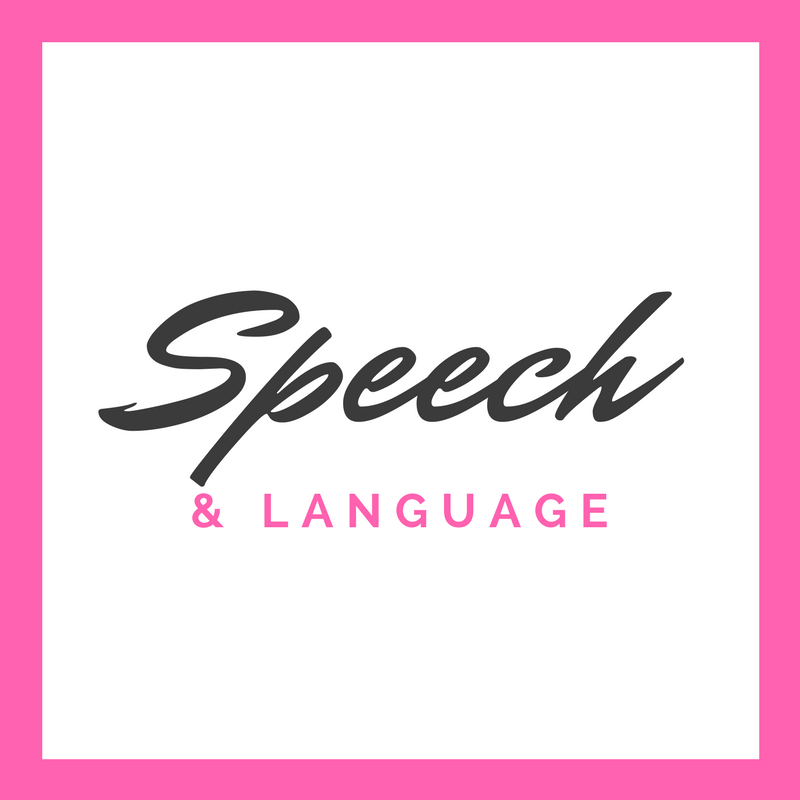 We have been using them for months now, and I can tell how much they help my kids, and my sensitive son specifically, with patience and participation throughout the day. On the days when I forget to set up our schedule, things get harry real quick, lol. You asked for feedback, so here is what I would think could be helpful: 1. Have different pictures for each different card type. For example, all activities water related have the same graphic, and my kids get confused about what water activity they are doing that day (which I love water activities, so we do a lot). I don't think we would need a graphic that is an exact match to the activity, but just something different from the other water play cards would be helpful for them to recognize the difference in activity. (Cause it is sad when your two-year-old thinks they are going to the water park, but you are really only setting out the kiddie pool in the backyard.) 2. Our family doesn't live close by, so we set up Skype dates with them on a regular basis. Adding a Skype card would be nice. :) 3. We don't need it as much now, but when we were potty training our kids earlier this year, more potty cards would have been nice...like a whole page of just them, lol. Because we took potty breaks every couple hours and the kids didn't want to go as much if it wasn't scheduled in, so I had to keep moving the one card I had around. So that's what I think, hope it is helpful! Thanks so much for doing this work for so many of us and sharing so generously! Thank you for these! I just printed them and I can not wait to use the with my daughter! I will tell you how it worked! Please do! I hope they help out. 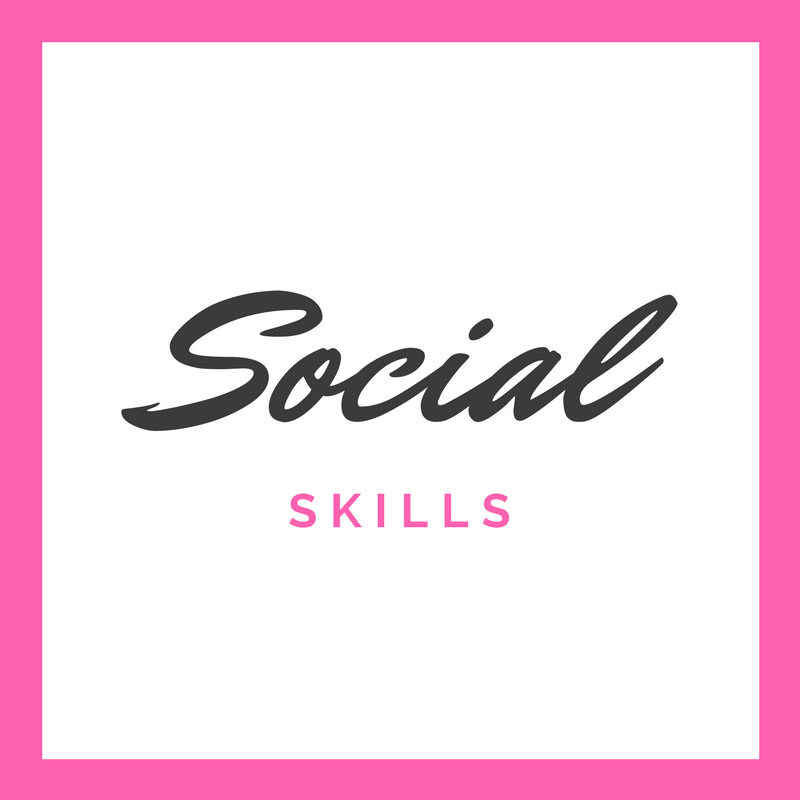 Dyan your website is wonderful and your free printables are amazing! So many useful tools and the fact you keep them free is hugely appreciated. I am having difficulty downloading the visual schedules though, I can download other links, but am getting an error message each time I click on any of the schedules. Any thoughts or help you might have would be appreciated. I am an school-based occupational therapist and would really like to share the visual schedules with some of the families of my students with autism and other special needs. Thank you!!! Hi, Sarah! Thank you for your comment. If you click the large pink download now button at the end of the post, then you should get redirected to the page to download the visual schedule. If you've already tried that with no luck, then send me an email at andnextcomesL@gmail.com and I will try to help you out! Thanks! Thanks Dyan....I think it may have something to do with the firewall protection on my computer at work. I'll try to download them at home. If I still can't, I'll email you. Thanks again! Hopefully you get it figured out! Like I said, email me if there's any other troubles. YAY! Glad you were able to get them. And you're welcome! Hi...I really want to use these, but I'm having trouble downloading. When I start to enter my email address, the dialog box disappears. Can you email them to me directly? mamahagan@gmail.com. Thanks! Sorry I cannot email them directly (if I had to do this for every person, I would be stuck on the computer all of the time!). Try again from a different browser or from your smartphone or tablet instead. If you still have issues after trying those avenues, then let me know. I'm having the same problem - it's the area where you enter your email address, not the actual download. The page doesn't seem to work. How odd! I just encountered the error as well. Looks like there was a server issue with LeadPages, which I use to direct you to the download page. Then I waited the 30 seconds and it worked fine. Try again and let me know if you are still having issues. Thank you sooooo much! I have a sharp little three year old who loves knowing exactly what we're doing every day. I've used the list for two days and his little eyes light up once he's done something. Thank you! You're so welcome! I'm glad he loves it. Thank you so much for this!!! I downloaded it and then printed the blank ones, created new ones in Word and printed the word document on your blank cards so they are all the same size. We are using this for our 11 year old with autism and ADHD and our 9 year old with ADHD who both struggle so much change and transition. We are also using a "this week" with a list of the appointments, activities that are unusual, etc, so they know those are coming up too. The only thing it was missing that was a little surprising was "take medicine" and "clear table." The other ones I printed were pretty specific to our family and our routine. I know not everyone takes medicine, but many children do, or vitamins or supplements, so having it on there helps remind everyone. I also created a "surprise" one to account for those days that something unexpected is happening. Again, thank you so much!!!! Medicine/vitamins would be a great addition! It was really hard to think of everything possible so not surprised I missed this one! 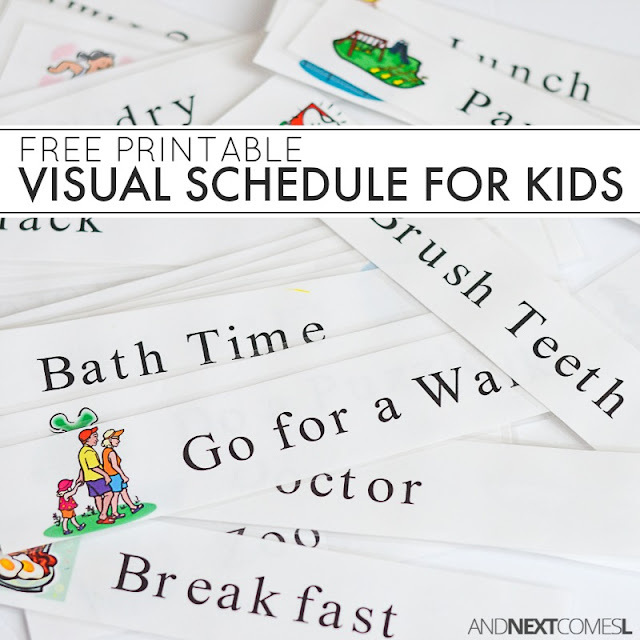 Glad you found this printable helpful and I hope your kids love it! Why is it I have signed up to your weekly newsletter and I still can't access you're printables? Every time I come here to download the printable it repeatedly asks for my email address and then just gives me a blank page sponsored by an advertiser? That is really odd, Michelle! After you enter your email address, you should receive an email with instructions on how to download and it should redirect you to the download page. Send me an email at dyan@andnextcomesl.com and I can help you get it! Thank you so much for this I am going to us this for myself as well as for my kids. I am an Adult with Autism and I was diagnosed as a teenager so I never got the help I needed to help my executive functioning issues. I was looking for a visual schedule geared towards adults and this is the closest one I found to help meet my needs. People tend to forget that adults have Autism too. I'm so happy to hear that it would be helpful for autistic adults as well! Thanks, Tia! Hi...I really want to use these, but I'm having trouble downloading. When I start to enter my email address, the dialog box disappears. Can you email them to me directly? Thanks! Send me an email at dyan@andnextcomesl.com so I can help you out. Thank you so much for this wonderful resource. It is just what I needed. Also thank you for adding the blank cards which allows me to create cards to my family's specific needs. You are a blessing for sharing this freely. God bless you. Hi there, I'm having quite a bit hard time to find a download, but some reason the area where you enter your email address, not the actual download. I don't know if that page seems not worked, but I'm using Google Chrome. It should be work. I love these cards!! They're wonderful and save my time to make the card, but this one is will save my time, especially I have twins and a toddler. Thank you so much!! I got download and I figured out how to.. Thank you so much!!! hi, very helpful for my son, thank you very much!! Hello, Every time I click to download it comes up to subscribe to your newsletter. I add my details then it takes me back to the same page. I click on download and again the pop up with the subscribe button. Please help?